An Inverness takeaway worker who broke a man’s jaw in two places with a single punch will be sentenced in the new year. 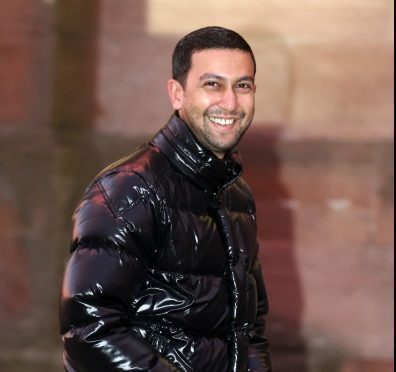 It took a jury just over 90 minutes to find Najmul Mohammed, of Keppoch Road in Culloden, guilty by a majority of assaulting Gary MacLennan to his severe injury and permanent impairment. The 28-year-old had claimed he acted while defending himself and his friend, Satnam Cartwright, 24. Inverness Sheriff Court heard during the two-day trial that MacLennan, a joiner from Dingwall, required surgery after the incident left him bleeding heavily in the city’s High Street. He was sent to hospital in Aberdeen to have three metal plates inserted and was off work for two weeks. The court heard that Mr MacLennan had intervened in a row outside the Caledonian Bar after going out drinking with friends in the early hours of Friday, November 13 last year. He said he witnessed an argument between a number of men outside and went to see what was going on. Inverness shop assistant Aiden Macdonald, 21, said that he was one of the men involved in the altercation. “I got involved in an argument with the accused and he and his friend said we should go outside and fight. I was thrown out of the pub and the argument continued. “I threw a punch at the accused’s friend as a man (MacLennan) came from behind me to see if I was alright. He was then punched in the face by the accused and he fell to the ground. However, Mohammed told the jurors that Mr MacLennan had “his head down and was throwing a flurry of air punches at Satnam, that was when I intervened”. “It was an act of self defence because I was in fear for my friend and myself. There was no reason for me to hit someone who was doing nothing. Sheriff Gordon Fleetwood deferred sentence until January 6 for a background report on the first offender.